A range of quality solutions for your total environmental simulation needs. Whether it is the standard range of test chambers or custom designed equipment, we can provide the complete solution to meet your unique requirements. The range covers all facets of testing, Temperature, Humidity, Thermal Shock, Stress Screening, Vibration, Corrosion, Solar/Light and Altitude/Pressure. 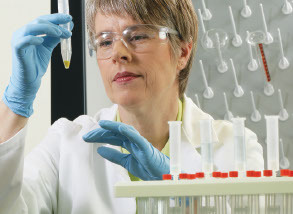 From lab bench to large manufacturing processes, Thermo Scientific™ temperature control products provide scalable solutions for the precise temperatures you need. Optimize your cooling / heating and calibration applications with outstanding performance and innovative technology. Providing you with sophisticated technology and advanced testing solutions to determine how long your products will last. Test the durability of your products with this network of weathering testing instruments and services (light exposure, Xenon, Corrosion, flammability, solar simulation, UV, Carbon Arc, etc. ).